Discussion in 'General Knife Discussion' started by Forester_01, Apr 17, 2019. I'm looking to pick up a Titanium Framelock folder with a budget of 450usd. Ideally, the knife must have a blade length under 3.3 inches. I currently have a spydiechef that I love, but am looking for suggestions other than spyderco. Let me know any good suggestions you have, I appreciate all answers. K.O.D., Steely_Gunz, stevekolt and 1 other person like this. I love my ZT 0393glcf but if you have a budget of 450 I'd probably go with a Chris reeve. Also WE is making some pretty cool ones. Just looked at Blade HQ's new arrivals. My two that get the most pocket time are a ZT 0808 and a Spyderco Sage 2. Chris Reeve small Sebenza or inkosi. It really depends on what you want in a knife. What you'll be using it for. The more detail the more we can help you. Tell us more. Is it going to be a user? Do you want a slicing blade like the Spydiechef you have or a thick and chunky pry bar. Does thinness behind the edge matter basically? Do you want an art knife? 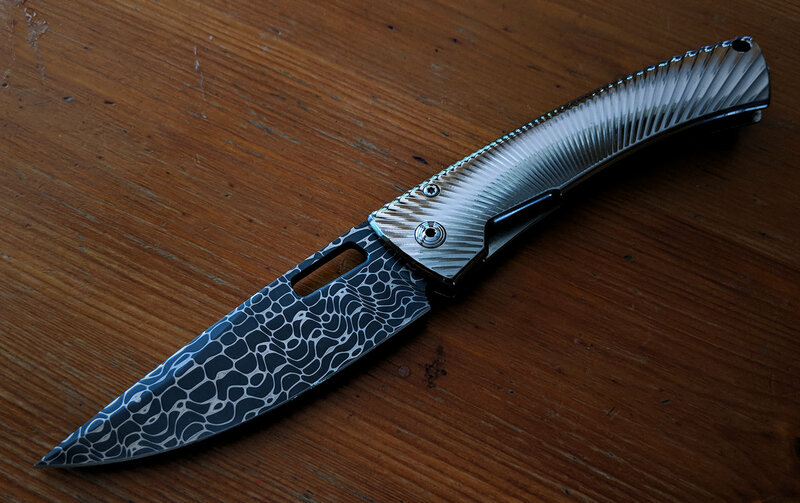 A good lookin knife. Possibly a fidget knife. Something to chill with on the couch. It will cut some things maybe. What kind of deployment methods? I had the small CF insingo and it's a very nice knife, my favorite of the Sebenzas I've owned, though it didn't end up being a keeper for me. It's a very pretty knife, but I've also found it an entirely pleasant knife to carry and use. It had a tiny bit of lock stick when it arrived, but that wore off quickly. The shiny one-piece handle, while gorgeous, is a finger print magnet, though.